Blue Origin is launching its crew capsule today—and then they’re going to take out its parachute and see what happens. You can watch it happen at 10:15 am ET. As we noted on Friday, this livecast is a first for the company that has typically preferred to conduct its launches in secret. 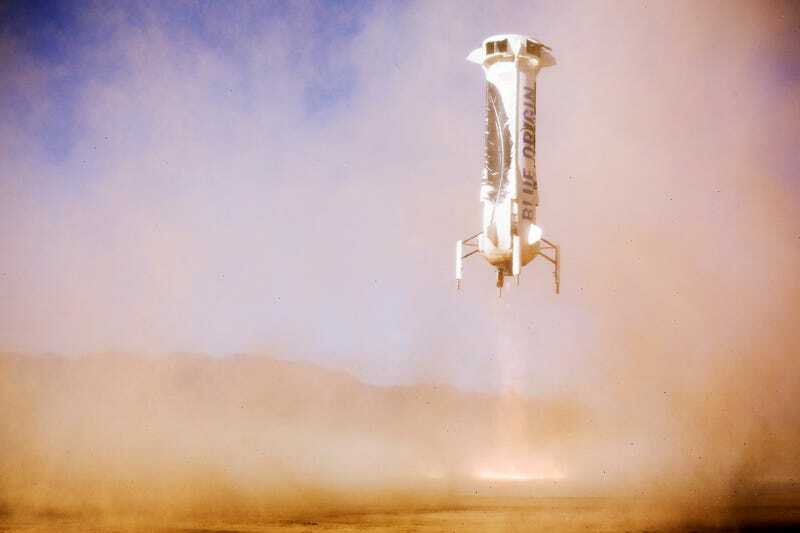 It’s also notable for the fact that seven minutes into the flight, Blue Origin will intentionally fail one of the parachutes designed to safely land the capsule. Although the company hopes back up measures will safely guide it to the ground all the same, a crash is still a pretty probable outcome. The webcast will kick-off thirty minutes prior to the launch at 9:45 am ET this morning. You can watch the whole thing right here.